Over the past decade the Armenian tech sector has grown from an insignificant part of the Armenian economy to a dynamic and rapidly growing field that is at the precipice of becoming a billion dollar industry and the primary national export. With that, it provides the unparalleled opportunity for national economic growth that can significantly change the state of the nation. However there are obstacles and shortcomings in the industry that hinder its development. Properly addressing those shortcomings, and fully harnessing all of the resources of the nation are critical in maximizing the benefits of the industry for the country. 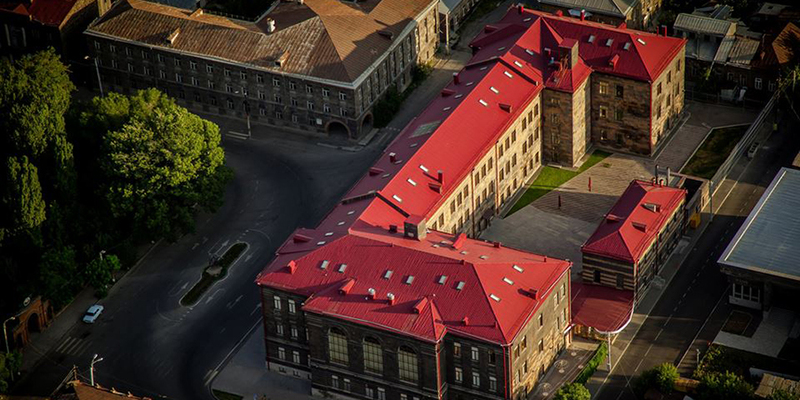 Armenia had a storied history as the technological and scientific center of the Soviet Union. It had more engineers and scientists per capita than any other Soviet republic, and despite being its smallest republic, was responsible for the production of 30 to 40 percent of electronic and computer components of the Soviet defense and aerospace industries. 7,000 people alone worked in the highly secretive Yerevan Computer Research and Development Institute. In fact, in 2017 the CIA declassified documents which revealed that the first Soviet atomic bomb was developed in Armenia. However much of that culture and knowledge was lost in the chaotic years that followed independence due to mass emigration and the lack of basic essentials like capital and infrastructure. It was only about a decade ago when the industry began showing signs of life again. In 2008 the government announced a ten year roadmap in creating a tech ecosystem equipped with the needed infrastructure, capital, and educational institutions that would enable the sector to become the foundation and the leading force of the economy. Important steps taken beforehand in preparation for the new roadmap included the elimination of ArmenTel’s monopoly on internet services and liberalization of the market. 2008 marked the start of the sector’s roughly 23 percent annual growth rate that continues today. In that period the sector grew from $96.0 million USD, or less than one percent of GDP, to $612.7 million USD in 2017, or nearly six percent of GDP. The exports of the industry grew from a mere $69.4 million USD, or six percent of exports, to $338.6 USD in 2017, or 15 percent of all exports. Currently the information technologies sector as a whole, which also includes the internet service providers, employs 15,350 people and is worth 765.1 million USD, and exports worth 338.6 million USD. The tech sector by itself, which excludes internet service providers, employs 9,057 people and is worth 612.7 million USD. While it used to largely consist of research and development branches of large western companies like Synopsys, National Instruments, and Oracle, they are quickly making room for local companies who are becoming just as influential. These include SoftConstruct, better known by the name of its subdivision BetConstruct, officially the second largest tech company in Armenia after Synopsys, and Picsart, the best publicly known local tech company with over five hundred million downloads of the application. Other unique domestic successes stories have included those in the service sector such as gg, the ride sharing company and menu.am, the food delivery service, both of which managed to not only dominate the domestic market in the face of foreign competition, but to then to go on and enter foreign markets. Another equally important trend in the industry, from both domestic companies as well as foreign companies with local branches has been a transition from low end outsourced worked, to much more complex and innovative work. 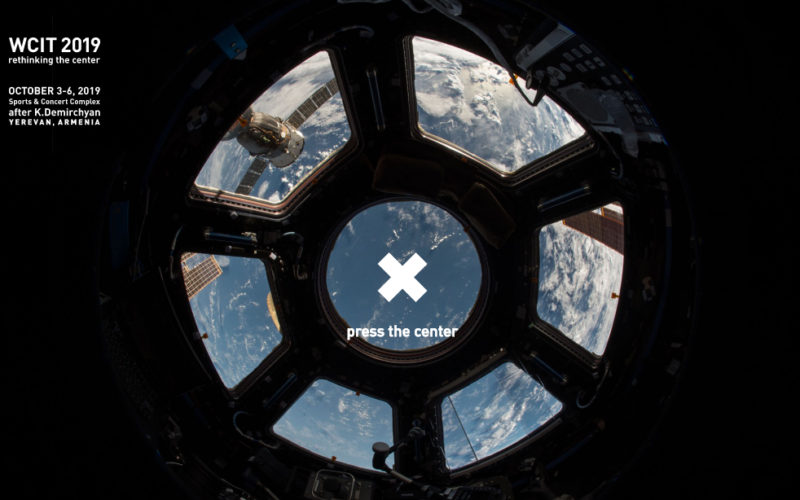 This is critical in that it represents a start to the transformation of the sector from a race to the bottom destination to a global center of innovation and development. The tech sector is thriving in Armenia for several reasons. First of all, the digital nature of the industry means it feels far fewer of the consequences from the plethora of geopolitical complications that hinder the general economy of Armenia. This is because tech companies are able to directly do business with wealthy markets without feeling the disadvantages of closed border or the limitations in transportational infrastructure. Moreover, as previously discussed, the industry is blessed with a national culture and predisposition towards excelling in the field. Finally, the sector is not capital or resource intensive, which is critical for a country that has little of either to spare. The combination of these factors allows the potential for rapid growth in the industry, and the possibility of high wages not afforded in any other sector. In a country where wages average around 400 USD per month, and GDP per capita is 3,880 USD per year, the tech sector allows young adults the opportunity to earn thousands of dollars per month and has an industry production per capita of 40,109 USD per year. And in a span of less than a decade, with its twenty three percent average growth rate, the sector has grown from less than one percent of the national economy to six percent. Even though it still only makes up a small part of the economy, it is responsible for a disproportionate amount of the economic growth. Now considering its growth rate and level of production, it is important to understand that as tech progressively becomes a larger part of the overall economy, a sustained high growth rate will increasingly contribute to an ever faster growing national economy. Moreover, beyond this direct contribution, it is critical to understand the secondary multiplier effects of the industry. Because, as the number of people it employs increases, so does the number of consumers with high disposable income who can support other high value businesses which in turn create high paying employment. And while conventional wisdom suggests that the growth rate in any sector should taper off as an industry matures, this has not been the case in the tech industry as the growth rate has actually accelerated in recent years. And due to various existing hindering factors that will be discussed shorty, it is reasonable to assume that this growth rate can be sustained, and even further accelerated, if those issues are properly addressed. Finally, perhaps the most critical and the least discussed aspect of the Armenia tech sector is its military implications. Properly developing the technological sector by having the necessary institutions and experts is a critical requirement if Armenia hopes to develop a viable domestic defense industry capable of meeting Armenia’s security challenges. Given the rapidly changing nature of warfare, and the increasing role of artificial intelligence in military weaponry, it is critical for Armenia to reach the forefront of technological development, if it hopes to achieve a higher degree of independence and develop the capability to ensure its own security. And if Armenia is able to make progress in this field, it will have a few important political and diplomatic implications for the country in addition to the security benefits: It will markedly strengthen Armenia’s negotiating position with partner states as well as enemies if Armenia’s national security is less dependent on external factors. Just as importantly, it will make Armenia a more sought after partner, which will grant Armenia important privileges. The challenges facing the Armenian tech sector are not limited to Armenia, and are issues that can more or else be found in the sector as a whole across the globe. However, there are several issues unique to countries like Armenia that exacerbate these problems. A major challenge to the sector in its early stages has been one that is familiar to the rest of Armenia: emigration. There is emigration on both an individual level for employment abroad, and also by startups. Individuals emigrate for a chance for higher wages abroad and for professional development at major companies like Google. The problem with individual emigration is that it is disproportionately limited to senior software developers, who are the most critical to the growth of companies, in mentoring of younger developers, and in incentivizing foreign companies to open branches in Armenia. Startups choose to emigrate for a chance to have direct access to the western markets they target. Western tech experts who visit Armenia- while complementing the level of technical expertise- often list deficiencies in marketing and sales of Armenian companies. Therefore startups seek western countries where they can break the language and cultural barriers they face from Armenia. Moreover, startups emigrate in search of investors and entrepreneur and technical mentorship, which can be difficult to attain in Armenia. Another critical deficiency is the unequal growth of the sector in the capital relative to the regions. While there’s a multitude of cheap or free of cost educational opportunities in the capital, they are limited and more often than not, non-existent in most of the regions. What this results in is two thirds of the country’s potential going unutilized. Furthermore, there is limitations on senior level employment opportunities in the regions where tech companies do exist. 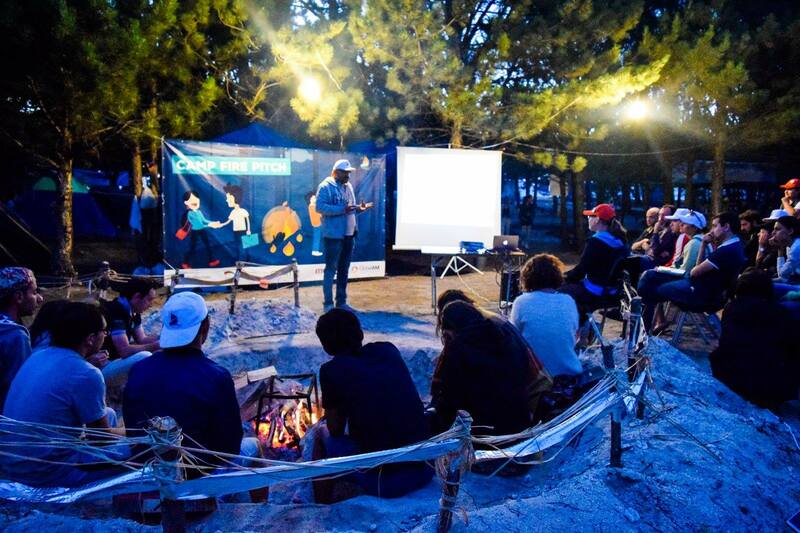 While just in the past two years the share of tech companies outside of the capital has grown from twelve percent to twenty percent, with companies present in remote cities like Vedi, Sisian, and Gavar, most of the population in the regions still lacks access to proper STEM education and employment opportunities. What this results in is migration towards Yerevan after reaching a certain level. People migrate from the regions to Yerevan for a chance for professional development and higher salaries, as well as the luxuries of living in the capital. And this creates an unfortunate cycle, as the lack of senior experts discourages the establishment of well paying job from large companies, which would be needed to discourage a move towards Yerevan by those senior experts. Overall, the challenges facing the sector in the regions, from limitations in salary to a lack of senior level and stimulating work, are very reminiscent of the challenges the sector faced in Yerevan at the start of the decade. Another key shortcoming is the deficiencies in the education system. The Armenian tech sector is capable of absorbing 5,000 new employees in the tech sector per year, and will in fact need to do so if is going to meet some lofty targets that have been set by the previous government. However, Armenian universities only produce 1,300 tech graduates per year. Worse yet, only half of those graduates are qualified to enter the job market without further training. This means that the conventional Armenian education system is only meeting just above ten percent of the demand of the tech market. While all around the world, from Germany to Japan, education systems are failing to keep pace with the demands of the tech industry, these problems are made more severe in Armenia due to both a highly limited government budget as well as an outdated and ineffective Soviet education legacy. There have been steps taken by the private companies to directly cooperate with individual educational institutions and directly train students in order for them to deal with their individual shortages. However this by itself cannot be considered a viable or adequate solution to a national issue, an issue which will require a much more comprehensive approach. There are also significant hindrances from international partners that are largely beyond the control of the Armenian government or its companies. These include the lack of support for Google Merchant registration from Armenia, which means that while apps can be registered from Armenia, companies cannot receive payments for them in Armenia. A similar problem exists with Paypal, which does not allow you to receive payments with an Armenian bank account. Finally, there are international issues such as the United States’ refusal to sign a double tax treaty with Armenia. All three of these issues are in different stages of being resolved, but they are more less out of the hands of the Armenian government and are dependent on the decisions of the other parties. Naturally, with the development of larger companies like PicsArt, the arrival of branches of companies like Oracle, and the development of a tech ecosystem equipped with mentors and investors, emigration has decreased over the years. And sooner or later emigration will reach an insignificant level, and the tech sector will have resolve many of these shortcomings. However, given the state of the Armenian nation, its long list of challenges, and its desperate need for leapfrog growth, Armenia doesn’t have the luxury of the latter. Therefore it is critical that these challenges are resolved sooner rather than later. As Previously mentioned, by certain measures the growth rate of the sector has actually accelerated in the past two years. In that period alone, more companies were established that the previous seven years of the tech boom combined. By the end of 2017, there were 650 registered tech companies in Armenia. Additionally there were 150 startups, bringing the total to 800 companies. Part of the acceleration in growth can attributed to government policy slowly catching up to the demands of the industry. In late 2014 the National Assembly passed legislation that largely freed tech startups from most forms of taxation. The legislation which came into effect in January 2015 stated that any tech startup with less that 30 employees would be free from profit tax until 2020, and would have income tax and payroll tax reduced to 10 percent, rather than the usual 23 to 33 percent. Since then the law has been extended, with the latest extension giving any company registered by the end of 2017 a five year tax-break. What this law did more than ease the process of launching a startup, was that it brought out from the shadow more than a hundred tech startups that were previously working in the shadow economy and not paying taxes. Another important and overdue step taken by the Armenian government was the designation of a ministry to deal with the technology sector, with the 2016 expansion and renaming of the Ministry of Transportation and Communication to officially include the technology sector under its list of responsibilities. This has allowed a much more direct line of communication and cooperation between the tech sector and government officials, with a deputy tech minister original from the tech industry who is directly familiar with the challenges and prospects of the industry. The hope within the tech community is for the next step to be the establishment of a designated ministry of technology. Important step taken in the past decade through varying degrees of cooperation between the government and private initiatives have included the establishment of several educational and technologies institutions like Innovation Solutions and Technologies Center (ISTC), Armenian National Engineering Laboratories (ANEL), the Microsoft Innovation Center, Ayb Education Foundation, Armath Engineering Laboratories, Armenian-Indian Center for Excellence in ICT, Gyumri Technology Center (GTC), Vanadzor Technology Center (VTC), and Tumo Center for Creative Technologies. These institutions have played an important role in developing a STEM educational culture through tech and education programs, conferences, competitions, and seminars. 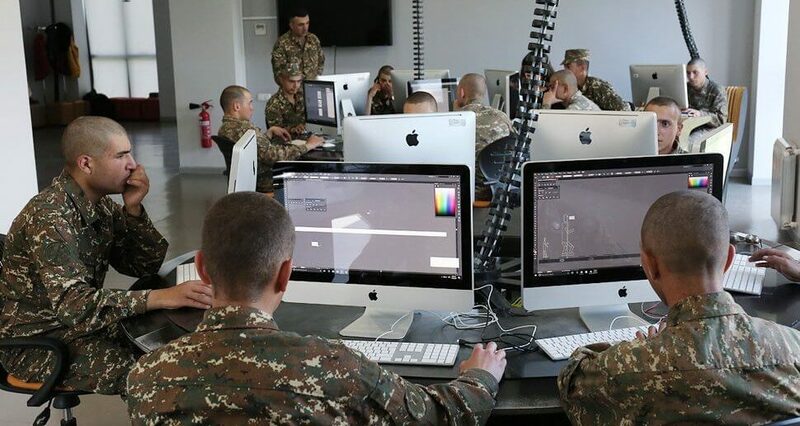 A great example of this is the new campus for the Monte Melkonian Military Academy of the Defense Ministry in Dilijan, where the educational curriculum is managed by Ayb, while a Tumo center has been established on the campus. 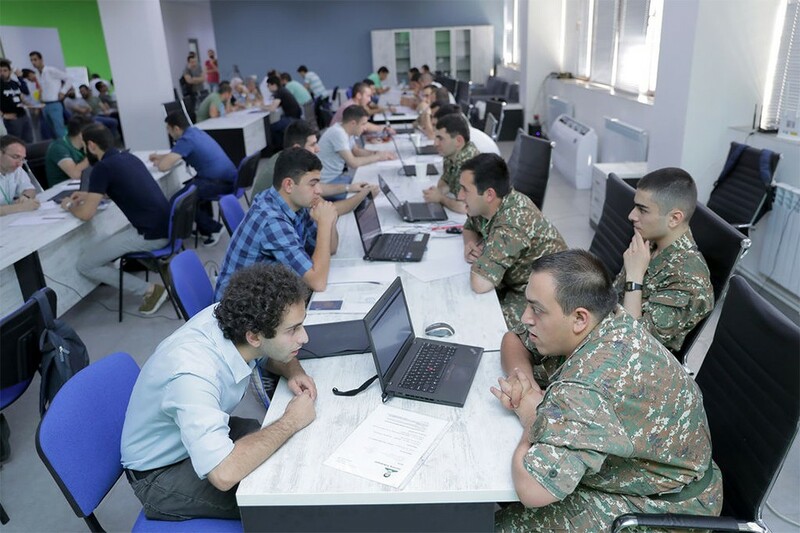 Another important example is the growing Tumo-Army program where soldiers serving near Tumo centers have an opportunity to attend Tumo classes, and to leave military service with highly valued skills which will open up an array of employment opportunities. 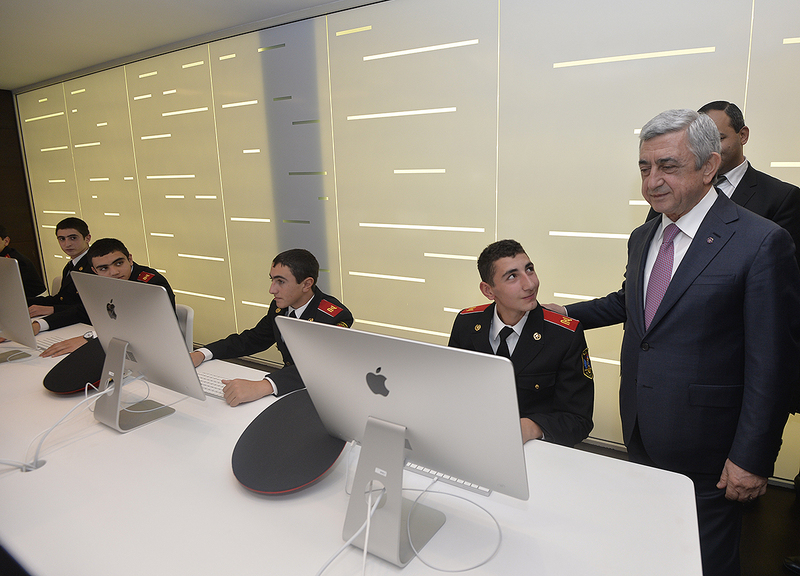 With the Tumo program set to expand to every region of Armenia in the coming years, the program should become accessible to all conscript soldiers. The same line of thinking goes into the rapidly expanding Armath laboratories, which now exist in some 225 Armenian schools, with the goal of expanding to all 1200 or so schools across the country. Led by the always strategic minded Karen Vardanyan, president of the Union of Information Technology Enterprises (UITE), beyond striving to provide the opportunity of a tech education to every child in Armenia, Armath laboratories also plays an important role in instilling patriotic values and preparing every student for defending the country. That includes the recently launched Armath-Army program intended to teach skills that will be critical in in military service, as well as the annual UITE summer camp, where in additional to tech related events, students are also introduced to basic arms training and are taught about patriotic values. Other important initiatives and developments in the growing tech ecosystem have included DigiTec Expo, BarCamp, Hour of Code, and Sevan Startup Summit. However, while significant strides have been made, it is critical for the government to maximize its cooperation with institutions like Ayb, Armath, and Tumo as well as private companies, to reform the outdated education system and the Ministry of Education as a whole, in order for these systems be able to meet the demands of the 21st century global economy. Furthermore, it is critical for Armenians and Armenian organizations, both within Armenia and abroad, to support these institutions, either through volunteering their time, or providing donations to them, in order for them to succeed in reaching their targets in the shortest amount of time possible. Like many other aspects of governance and nation-building, there are critical lessons to be learned from the trials and experiences of other nations which can help Armenia duplicate the successes of others in a significantly reduced amount of time. One of the greatest examples is Lebanon, with its rapidly expanding Beirut Digital District (BDD), and its strong system of tech incubators and accelerators. The young and rapidly expanding Lebanese tech industry has two distinct features that the Armenian industry sorely lacks. The first is a designated tech district, and the second and more important is a highly developed system of incubators and accelerators. The young Lebanese tech industry began to take form in 2012-13. This was when the government took a series of strategic steps, in the hopes of using the tech industry to boost its stagnant economy. Through an agreement between the Ministry of Telecommunication, a private construction company, and a private tech accelerator company, the BDD was born. In a country with significant issues with internet and twenty four hour supply of electricity, the BDD was guaranteed both. Today BDD consists of several high risers, with many more to come, in a Silicon Valley like setting, where dozens of tech organizations reside. When it is complete, it will consist of 12 high risers consisting of office spaces, apartments, hotels, shops and entertainment facilities. In an even more important step, the Lebanese central bank launched a program that guaranteed banks 75 percent of their investments in tech companies. This opened the floodgates of funding for the financially starved tech industry. The rest that followed came naturally. Since then the BDD has exploded, and has put Lebanon at the center of the Middle Eastern tech industry. There are critical lessons to be learned here for Armenia. Lack of financing is one of the greatest hindrances for Armenian tech companies, and one of the largest causes of emigration. A lack of a designated tech district and the seeking the advantages that one would provide is another. The Armenian government can use the lessons provided by Lebanon to correct two of the largest greatest shortcomings in its own tech industry. The Armenian government, in cooperation with Enterprise Incubator Foundation (EIF) and National Instruments Armenia, has began adressing the latter with the launching of construction of Jrvezh Engineering City located on the eastern edge of Yerevan. However, the greater issue of domestic financing still looms large. Two organizations who have began to make inroads regarding this shortcoming have been Granatus Ventures, a tech focused VC fund founded in 2013 and HIVE, an accelerator and virtual network founded in 2014. Granatus Ventures is a joint endeavor by the Armenian government and three co-founders, two based in Armenia and one in Singapore, with investors from Armenia, Russia, and the United Stated with an interest in developing the Armenian tech industry. HIVE is a Hovnanian Foundation project focused on connecting the global Armenians tech industry, and helping individuals find mentors and and secure investors. Following the precedent set by HIVE and Granatus Ventures, the IDeA Foundation, in partnership with Ayb Educational Foundation, has recently announced the launch of The Foundation for Armenian Science and Technology (FAST), a platform very similar to HIVE, but with a specific focus on the Republic of Armenia. FAST intends to mobilize national and international scientific, financial, and technological resources to advance the STEM sector in Armenia. Perhaps the most important achievement of these organizations has been demonstrating the potential and the ability for both Diasporans as well as the people of Armenia to directly contribute to the country’s development if they are willing to engage it in a constructive manner. And while there is still a need for a much greater degree of investment and support for startups in the industry, these organization represent a critical starting point. Another potential approach for the government to consider in the lack of financing for the tech sector is to allocate a part of the mandatory pension reform funds for investing in accelerators for tech companies in Armenia. The pension reform law, which was enacted four years ago, mandates that five percent of the salary of all employees making below a certain threshold to be withheld for a mandatory pension system. The government is then to match that amount, equaling ten percent of the original wage, and the money is to enter a national fund which is then be invested in low risk securities and bonds by highly reputable Western financial institutions. The law was strongly opposed in the tech sector, because due to the significantly higher wages paid in the industry relative to the rest of society, most employees actually fall in the highest bracket of income earners in Armenia, and are therefore expected to contribute five to ten percent, with the government contributing the remaining amount necessary to reach ten percent. Therefore, one very unique approach to the issue of securing financing for the tech sector would be to direct a part of the investment fund to accelerators for the tech industry, which could then provide the necessary financing while resolving the issue of placating the segment of society most opposed to the reform. On a closing note on the topic, it should be noted that while the Lebanese tech industry has its advantages, it also faces many disadvantages relative to Armenia, such as a staggeringly lower ranking in Ease of Doing Business, and significantly higher degree of political instability. These disadvantages are contributing factors as to why the Lebanese tech industry is smaller and has a slower growth rate relative to Armenia, and in fact forms only one percent of GDP, relative to the six percent in Armenia. Another great model for Armenia is the nation that lies across the closed southern border of Lebanon: Israel, a country that faces many of the geopolitical challenges that Armenia is faced with. Israel has demonstrated on several levels how to take weaknesses and transform them into a strengths. One of those examples has been its ability to take the great burden of being in a constant state of war and facing nationwide conscription and using it as one’s greatest advantage, by turning the military into an technological institution of education that can build the economic foundation of the country. During that process, the Israeli military has become the country’s greatest educational institution, with several of its famed military departments, including the secretive counterintelligence “unit 8200”, serving as the breeding ground for thousands of the founders of major Israeli tech startups, and the leaders of major national institutions and companies. Furthermore, beyond serving as an education institutions, the technological advances in the Israeli armed forces have a much more direct economic impacts in the form of more than nine billion dollars of military weapons exports and 6.5 billion dollars of cyber security software exports per year. By comparison, Armenia’s overall national exports for 2017 totaled 2.243 billion dollars. However, Karen Vardanyan, the head of UITE, is convinced that with proper funding and policy decisions, Armenia’s military exports could reach 2-3 billion USD. These were all founding principles in Vigen Sargsyan “nation-army” concept that he had been implementing over the past eighteen months. In December 2017, for first time ever, the Defense Ministry announced a special conscription recruitment contest for specialists in programming, networks, and cybersecurity, with conscripts sent to a special division. This month, the new government, under Defense Minister Davit Tonoyan, announced that the specialized recruiting program will indeed be preserved and implemented. This is the latest policy of Vigen Sargsyan that the new Armenian government has wisely chosen to continue. The proper continuation and development of these institutions can serve as a foundation for addressing the most urgent issues facing the Armenian tech sector and its economy as a whole, while turning the state of war into a means of nation building. The final example to analyze is Estonia, the country considered the golden standard of innovative policy making in pursuit of technological advancement and national development. And fortunately for Armenia, it is a country with which Armenia has much in common with, and hence has much to learn from. Today Estonia is a country which has the world’s highest tech to GDP ratio as well as its highest start up per capita ratio, while enjoying the highest GDP per capita among former Soviet states. So how was Estonia able to achieve this? 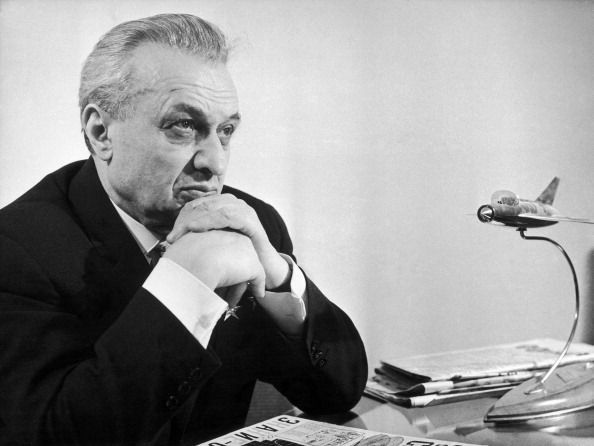 In no small part, it was because unlike many other former Soviet states, including Armenia, Estonia enjoyed a clean break from the Soviet Union, free of war or major disaster. It had strong and amicable relations with fellow Baltic states Latvia and Lithuania, and was in close proximity to the European Union. This allowed it to escape many of the devastating setbacks that struck other Soviet states during the period of crisis. To put things into perspective, in 1995 the GDP per capita in Estonia was five times that of Armenia’s. However, it was how its new government used this period that set it apart from many others. Understanding that it could never compete globally as a manufacturing hub, and recognizing the changing role of technology in the global economy, the new government decided to bet on its human capital and to try to become a technological hub in the world. To do so, the Estonian government decided to simplify bureaucratic procedures and maximize the efficiency of government, while investing heavily in education. In term of economic policy, the former came in the form of a flat tax rate, establishing sound money, pursing free trade, and constantly working to improve government efficiency. Bureaucratically it included the launching of online tax filing in 2000, the 2002 introduction of mandatory digital identification cards to sign documents and access government databases online, the creation of a platform to help manage and share data between government institutions, and the establishment of online voting starting in 2005. In terms of educational reform, it included providing computer and internet access to every student by 1998, while making coding classes mandatory. What this resulted in was a highly educated population which had the most favorable domestic business climate in the world. Today Estonia ranks first in the International Tax Competitiveness Index, second in Internet Freedom, sixth in Economic Freedom, and twelfth in Ease of Doing Business. With such a revolutionary foundation, it was only natural that Estonia would become home to the likes of Skype and TransferWise. However, the Estonian government has not stopped there. In late 2014 it announced the launch of its e-Residency program, where anyone around the world could register to become an e-resident of Estonia, which would then allow them to establish a business in Estonia, access its banking system, and use its highly efficient system of bureaucracy, without ever stepping foot in the country. The system which has already attracted 30,000 applicants and 2,000 companies, is specially attractive for residents of a majority of the world’s residents, in countries which face the same problems as Armenian residents in dealing with PayPal and similar companies. With Estonian e-Residency, they are allowed access to European bank accounts and the highly efficient Estonian bureaucracy, which greatly benefits their business. In return Estonian banks are strengthened through foreign capital, while the government receives taxes from dividends which are expatriated. All of this has been possible in large part due to an unprecedented degree of cooperation between the government and the tech industry, with tech industry leaders often taking government posts, and vice-versa. There are many lessons to be learned here by the Armenian government, chief among them being the importance of maximizing government efficiency and government cooperation with the private sector. The Armenian government had in fact already been taking steps towards the Estonia model in the form of the Digital Armenia Foundation. The foundation, which was the brainchild of Karen Karapetyan, hoped that in cooperation with the Armenian tech industry, it would be able to duplicate many of the key achievements of the Estonian government. Its implementation was to start in 2018, with the goal of moving ninety percent of government work online within five years. Hopefully the new Armenian government is able to recognize the importance of this process, and continues its implementation. Like previously mentioned, the information technologies sector currently employs 15,350 people and is worth 765.1 million USD. The tech sector by itself, excluding internet services, employs 9,057 people and is worth 612.7 million USD, nearly six percent of GDP. The sector is projected to maintain its 23 percent annual growth rate which it has averaged over the past decade and become a billion dollar industry by 2020, forming nearly ten percent of the economy, and close in on the mining industry as Armenia’s number one source of exports. By comparison, the tech to GDP ratio in global industry leaders Estonia and Israel, stands at 15.0 percent and 12.5 percent respectively. Estonia and Israel are specially important comparisons, considering individually they each share many of the geopolitical challenges that Armenia is faced with, and that both have managed to build highly developed first world economies on a foundation of technology. Simply by the aforementioned 2020 projection, and understanding where Estonia and Israel find themselves today, the future outlook for Armenia should be considered rather optimistic. However, the expectations are much higher than that: In January 2017 Karen Karapetyan met with leaders of the tech industry to create a roadmap and targets which would ensure the industry would reach 40,000 employees by 2025. Commenting on the meeting, Karen Vardanyan of UITE said that 40,000 is a number that Armenia should naturally be able to reach through basic policy adjustments and reforms. However, he said, the target and challenge that the nation should strive for should be 70,000 to 80,000 employees. It is important to fully understand the implications of these numbers. Given the disproportional level of wages in the industry and their impact on the economy, what such a dramatic expansion of the sector would do is that it would create a first world level middle class in Armenia. This is turn would then have significant reverberations throughout the economy in the forms of hundreds of thousands of jobs and billions in foreign investment necessary to satisfy the consumption demands of that new middle class. Moreover, having that level of concentration of specialists in a country of three million people would put Armenia on the map as a center of technology. Currently just over one percent of the Armenian workforce is employed in the tech sector. By comparison, this figure stands at nine percent in Israel, the global leader in that benchmark. However, if Armenia were to achieve the targets set by Karen Vardanyan, it would find itself not far behind Israel, which would then attract significant attention and investment from global leaders of the industry. This in turn will lead to developing both the necessary level of expertise, as well as the financing needed to become competitive at a global level in the rapidly evolving and high value subsectors of the tech industry such as blockchain and specially machine learning, which looks set to play a progressively larger role in all aspects of life moving forward. Armenia has already made some inroads into these subsectors with massive blockchain plants under construction in Hrazdan and Aboyan and with institutions such as YerevaNN machine learning research lab, the leading institution in the country on machine learning. It is critical for these early stage ventures to to significantly develop and for Armenia to reach the forefront of these industries if it is to improve its economic, political, and military situation. It should be understood that this not mean that in five years the Armenian economy will reach the current level of Israel’s or even that of Estonia’s. Armenia faces many geopolitical disadvantages relative to those countries that will take a longer period of time to overcome. However, what it does is mean is that the gap between Armenia and those countries can be significantly reduced, while creating the foundation necessary to eventually reach that level. Armenia is facing a historic opportunity, where decades of development can be achieved in a much shorter span of time. This is an opportunity to bring to reality our centuries old dream of a powerful and prosperous nation. However there are a plethora of challenges that threaten to hinder this unique opportunity, and the collective efforts of our nation and every single one of its members must be harnessed and directed into addressing those challenges in order for our us to be able to make most of this opportunity. Thank you Mehr Almasian for a timely, comprehensive and well-written restatement of facts and issues observed by insiders. I share your obvious enthusiasm and concern for the subject. So three web publishing style suggestions follow that are applicable to this and other pieces in several online publications. 1. PARAGRAPH STYLE AND BOLDING: Some style conventions that were common for print magazines, newspapers and books should be dumped. One element of this is that research indicates that eyes read screens differently. Given this I’d recommend using more numbered lists and bullet points. They improve readability, comprehension, reading speed and scan reading. All that is also helped if you bold some keywords. 3. REFERENCES: Ideally there should also be footnotes, or at least a list of references. Readers frightened by footnotes are probably the readers you don’t need. Below are some references. • AEC dataset – http://atlas.cid.harvard.edu/engage#data-download. Thank you again Mher, your peice is is an excellent gathering together of up-to-date information. Thank you very much for the positive review, and most definitely noted for future articles. Thanks for this excellent article by Mr. Almasian. Hearing bits and pieces about this sector is much different than reading such a thorough analysis of the whole industry. I’m glad to hear that there is so much already going on and the future is even brighter. Thanks for the link, Mher, and keep up the good work. Another great article by Mr. ALMASIAN. Mher’s Armenite articles are uniformly well researched, factual, balanced, and very educational. [in that period the sector grew from $96.0 million USD, or less than one percent of GDP,….or 15 percent of all exports.]. in Armenia’s or Diaspora Armenian MSM. Lots can be learned from Israel, but its impressive stats must be put in context. I will list some here. (no doubt Mher knows about it, but some readers of Armenite may not). – Isreal either gets or steals (yes) much of its military technology from US. technological innovations. For example, the Iron Dome is an improved copy of the US Patriot. So Israel got the design of the Patriot, and also arranged for US to pay for the improvements that eventually became the Iron Dome. – In the 80s when Detente was in full bloom, USSR allowed very large numbers of Soviet Jews to emigrate. so they ended up in Israel. Israel got several hundred thousand highly educated engineers, scientists, etc. This massive infusion of talent benefits Israel’s high tech and military technology to this day. – Jewish-American diaspora is about 6 million strong. Highly educated, politically active/influential, and quite wealthy. This translates into massive infusions of both private and (US) public funds into Israel’s technology and biomedical sectors. between influential individuals and corporations of US and Israel. And, re: “Israel, a country that faces many of the geopolitical challenges that Armenia is faced with.”. Sorry Mher: this is simply not true. Israel faces none of the geopolitical challenges that Armenia is faced with. there was concerted effort to chase away Armenian engineers and scientists (from Armenia), and permanently cripple Armenia’s scientific base. Apparently corrupt Armenian officials were involved in the vile undertaking. He has also said on several occasions that everything is being done to thwart Armenia’s technological advancement. Prudently, Vardanyan did not mention which parties or countries that would be, but it is easy to figure it out. That one is a tough nut to crack. And welcome back TheArmenite and Mher. Hi Mr. Avery! As always, you’re impressively accurate on all points. Needless to say, this is rather extremist and illogical. But unfortunately, that seems to be the case with most patriotic people in Armenia when it comes to politics. They have views that are very counterproductive, and they don’t understand ideology. However, one can’t question Karen Vardanyan’s nationalism, or his scientific knowledge, or the soundness of his strategy in advancing Armenia through technology. And that’s what I was referring to when I mentioned strategic minded. Unfortunately in Armenia we have to separate people’s political actions and beliefs and their patriotism and the soundness of their mind. t’s a bit difficult to do, and it sounds downright illogical. In other countries those who hold such irrational views tend to not be the national leaders in fields which require high intellect. However, Armenia seems to be an exception. Regarding Israel: Everything you said about today is accurate. However that was not the case before 1980. In the early 50’s it began receiving a notable amount of reparations by West Germany. In the period up to around 1960 Israel was supported to a limited degree by the French. And after 1967, America supported it to a certain degree. But America’s full fledged support of Israel did not begin until Reagan. Israel in large part began receiving the support it does because it became a partner that was desirable to have. During its first two decades of existence it developed its own tank, its own fighter jet, and its own nuclear bombs. Israel conquered its enemies, and only then did many seem to value it as a partner. Today it faces far fewer challenges than Armenia, but that is only because of its successes when it was in a similar situation to Armenia. Thank you for the kind words, and thank you for always being so sound minded and pragmatic in your approach to Armenia. I’ve been following your comments on various Armenian publications for many years. One of the few nationalist people who seems to understand ideology, and seems to grasp the realities and complexities of politics. Exceptional, 5-star piece of writing Mher jan. I forgot to let you know Mher this was very well done. Hope all is well with you.